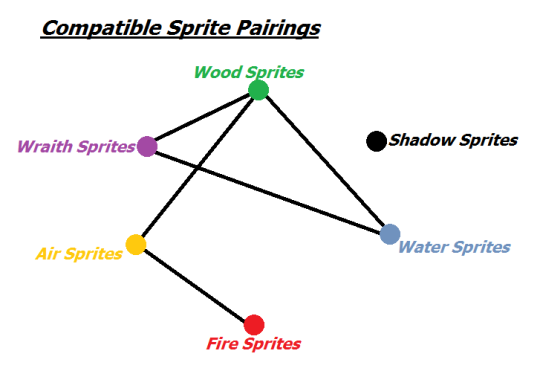 In many cases, sprites live in hiding or total isolation from humans. From the wood sprites that inhabit the vast forests of the world to the wraith sprites living right in the walls of human dwellings, they have maintained secrecy for generations to avoid the risk of one bad human ruining things for every one of them. However, there are areas of the world where sprites and humans still communicate or at least have an understanding of one another. In tropical areas and places removed from industrialism (fewer and farther between as the years go by), sprites keep out of the way of local humans but sometimes come to agreements of trade. Legends all around the world have built up the image of fairies and the like, and sprites are partially to blame for it.